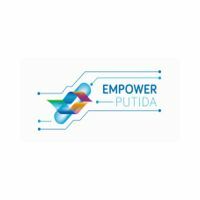 EmPowerPutida has received funding from the European Union’s Horizon 2020 research and innovation programme under grant agreement No 635536 and is coordinated by Prof. Dr. Vítor Martins dos Santos. This project wants to foster collaboration and communication between the different projects that have much common ground, thus enabling rapid development of Synthetic Biology in Europe while preventing needless competition. EmPowerPutida (Exploiting native endowments by re-factoring, re-programming and implementing novel control loops in P. putida for bespoke biocatalysis) aims to engineer the lifestyle of P. putida to generate a tailored, re-factored chassis with highly attractive new-to-nature properties, thereby opening the door to the production of thus far non-accessible compounds. This industrially driven project capitalises on the outstanding metabolic endowment and stress tolerance capabilities of this versatile bacterium for the production of specialty and bulk chemicals. Specifically, they build streamlined P. putida strains with improved ATP availability utilizing this power on demand, decoupled from growth. The well-characterized, streamlined and re-factored strain platform will offer easy-to-use plug-in opportunities for novel, DNA-encoded functions under the control of orthogonal regulatory systems. To this end, they will deploy a concerted approach of genome refactoring, model-driven circuit design, implementation of ATP control loops, structured modelling and metabolic engineering. By drawing on a starkly improved, growth-uncoupled ATP-biosynthetic machinery, empowered P. putida strains will be able to produce a) n-butanol and isobutanol and their challenging gaseous derivatives 1-butene (BE) and (iso-)butadiene (BDE) using a novel, new-to-nature route starting from glucose, as well as b) new active ingredients for crop protection, such as tabtoxin, a high-value, ß-lactam-based secondary metabolite with a huge potential as a new herbicide. The game-changing innovations brought in – in particular the uncoupling of ATP-synthesis and production from growth – will provide strong versatility, enhanced efficiency and efficacy to the production processes, thereby overcoming current bottlenecks, matching market needs and fostering high-level research growth and development.